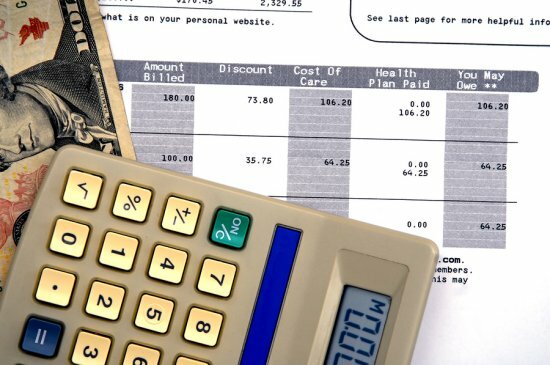 A new study out of Northeastern University School of Law shows that medical debt continues to plague consumers and contribute to bankruptcies. We've written here before about how medical costs push far too many consumers to the brink of financial collapse and this latest research clearly shows the situation is not getting better. If you're overwhelmed with medical bills you can't pay - if you're running up your credit cards to pay medical costs – if you feel like you'll never get out from under medical debt – you're not alone and there is a solution. Bankruptcy helps you get a clean slate from these and other debts. What is a sudden financial shock? Sudden financial shocks - or as we like to call them, major life events - are those that either cause your income to take a nosedive, your expenses to skyrocket or both. This includes job loss, divorce and/or medical expenses usually caused by a serious accident are illness. Medical bills can grow out of control quickly, even if you have insurance. The average stay in a North Carolina hospital costs roughly $10,000 and it's exponentially more when surgery is required or the stay is extended. And with many co-insurance costs running at 20% on top of a significant deductible, you can find yourself paying thousands of dollars out of pocket even if you're insured. And if you're not insured or are under-insured, a hospital stint can be financially catastrophic as can a prolonged illness like cancer or a work or car accident that requires surgery or physical rehab. This is made worse if your medical condition prevents you from working. What about the other causes of bankruptcy? The other two causes of bankruptcy cited were chronic poor use of resources and deliberate action by debtors. What does this mean? Chronic poor use of resources is simply bad money choices made again and again. This is characterized by spending on things you can't afford from buying a pricey car, buying the most expensive home you can qualify for, running up credit cards when you can't afford to make the payments on them and, in general, not making wise decisions about your finances. By comparison, deliberate action by debtors that lead to bankruptcy include running up credit cards with no intentions of paying, buying things on credit when you know you won't be able to pay the bills and, in general, taking on debt you know you can't possibly support. This is not the case with most bankruptcy clients we see in our office – in fact, it's relatively rare. And even those that make chronic poor money decisions often also have a major life event that's thrown them for a financial loop. The study found that at least 18% of bankruptcies are driven by unaffordable medical expenses and even in bankruptcies that are not classified as primarily driven by medical expenses, debtors still have a pile of debt. In fact, the study showed that bankruptcy filers average nearly $10,000 in medical debt and this is on top of other debts. The bottom line is that there are still far too many people being crushed by medical expenses they can't afford to pay. If you have medical bills piling up, are running up your credit cards to pay for doctor visits and prescriptions, there is help available. Filing Chapter 7 bankruptcy will get you out from under this mountain of debt and get you a financial fresh start. Living with debts you can't pay is stressful and this is made harder when your phone is ringing off the hook with collection calls and your mailbox is stuffed with past-due notices. Don't let your medical debts ruin your life. Contact the law offices of John T Orcutt for a free consultation at one of our convenient North Carolina locations. We'll show you how Chapter 7 bankruptcy can get you the financial peace of mind you deserve.